Richard R. Almy has served as Executive Director and Director of Research and Technical Services of the International Association of Assessing Officers (IAAO). Prior to joining IAAO, Mr. Almy was an appraiser with the Detroit Board of Assessors, where he gained experience in land valuation, developing and maintaining cost schedules, ratio studies, and in-house revaluation projects. Mr. Almy is a coauthor of several IAAO publications, including Assessment Practices: Self-Evaluation Guide (1991 and 2003) and Fundamentals of Tax Policy (2008). He was a senior technical editor of Property Appraisal and Assessment Administration (with Robert Gloudemans, 1990). He was project director and a coauthor of Improving Real Property Assessment: A Reference Manual (with Robert Gloudemans and Robert Denne, 1978). In addition to contributing to a number of IAAO's assessment standards, Mr. Almy has served as a member of the Appraisal Foundation's mass appraisal task force, which drafted standard 6 (on mass appraisal) of the Uniform Standards of Professional Appraisal Practice. He has directed or participated in over 100 consulting projects and teaching assignments in twenty-three countries in North America, Europe, Africa, and Asia. Mr. Almy specializes in finding practical ways to improve property tax systems. 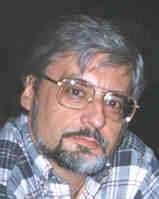 Robert J. Gloudemans is a former Senior Research Associate for IAAO and Supervisor of Computer Assisted Appraisal and Equalization for the Arizona Department of Revenue. Mr. Gloudemans and Richard Almy are co-authors of the IAAO textbook, Fundamentals of Mass Appraisal (2011). He is the author of Mass Appraisal of Real Property (IAAO, 1999), a principal author and a senior technical editor of Property Appraisal and Assessment Administration (1990), and author or co-author of numerous other mass appraisal textbooks, articles, workbooks, and IAAO Standards. Mr. Gloudemans has taught IAAO and other courses and workshops on assessment administration, mass appraisal, and ratio studies in over thirty-five states and provinces and internationally. He has directed or participated in assessment consulting projects for over 100 government agencies, including major revaluation projects in Alberta, Arizona, Colorado, the District of Columbia, Florida, Iceland, Manitoba, Montana, Northern Ireland, Ontario, Tennessee, Saskatchewan, and Washington. Mr. Gloudemans specializes in mass appraisal model building, ratio studies, computer assisted appraisal, and related staff mentoring and training. Robert C. Denne has served as an independent consultant in assessment administration, and he held several positions with IAAO, including Deputy Executive Director and Director of Research and Technical Services. Mr. Denne contributed to such books as Assessment Administration, Assessment Practices Self Evaluation Guide, Improving Real Property Assessment, Property Appraisal and Assessment Administration, and several IAAO assessment standards. He directed and participated in consulting projects for IAAO, including numerous projects in the U.S. and Canada and one in Argentina. His subsequent consulting work includes work on a variety of ratio study issues with the States of Arkansas, Louisiana, Nebraska, Oklahoma, Rhode Island, Vermont, and West Virginia as well as the Province of Alberta. Mr. Denne has also done analyses of assessment equity for clients in Georgia, Indiana, New York, Pennsylvania and Virginia. He has performed analyses of property-tax related information-technology systems for the states of Idaho and Wyoming, the municipality of Anchorage, Solano County, California, and the republics of Bosnia and Herzegovina, Kosovo, and Montenegro. Work abroad has included three years in the Russian Federation and briefer recurring stints in Kosovo and Montenegro on property tax reform projects; each has involved development of information technology in addition to valuation aspects. He has served numerous times as a consultant to other, larger consulting firms. Mr. Denne's areas of expertise include information systems, computer-assisted mass appraisal, and ratio studies.